It is a common practice for Orthodox to bless water not only in church on Theophany, but to go to their nearest local body of water or even well and bless those waters also. 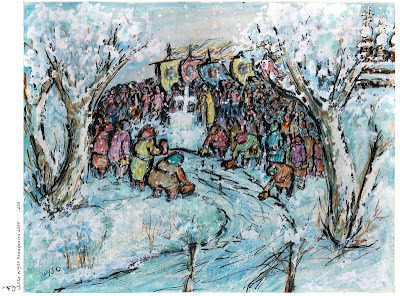 The blessing is normally done twice: once on the Eve of the Feast — usually at a Baptismal font inside the church — and then again on the day of the feast, outdoors at a body of water. 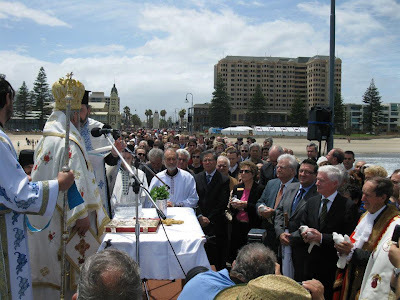 Following the Divine Liturgy, the clergy and people go in a Crucession (procession with the Cross) to the nearest body of water, be it a beach, harbor, quay, river, lake, swimming pool, water depot, etc. (ideally, it should be a body of "living water"). At the end of the ceremony the priest will bless the waters. In the Greek practice, he does this by casting a cross into the water. 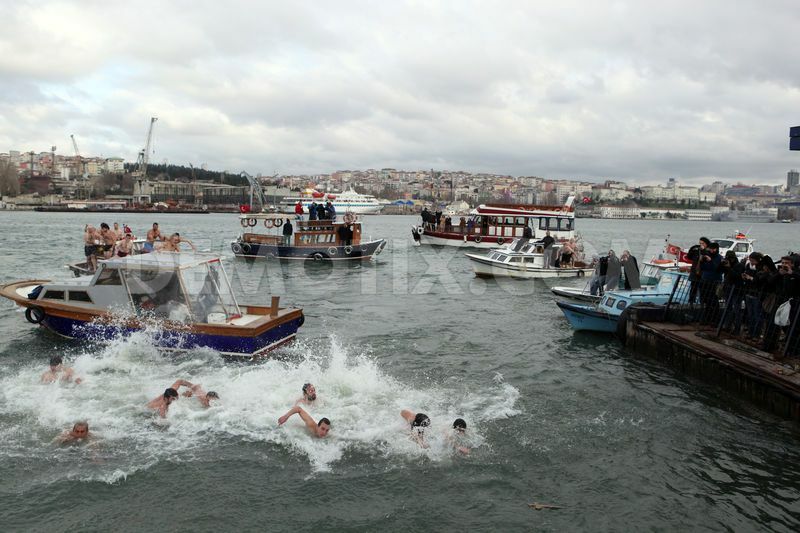 If swimming is feasible on the spot, any number of volunteers may try to recover the cross. The person who gets the cross first swims back and returns it to the priest, who then delivers a special blessing to the swimmer and their household. Certain such ceremonies have achieved particular prominence, such as the one held annually at Tarpon Springs, Florida. In Russia, where the winters are severe, a hole will be cut into the ice so that the waters may be blessed. 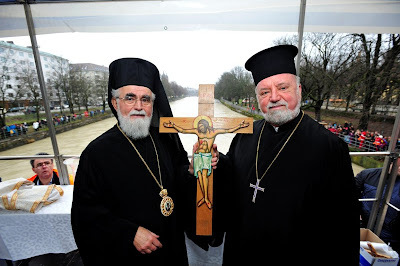 In such conditions, the cross is not cast into the water, but is held securely by the priest and dipped three times into the water. 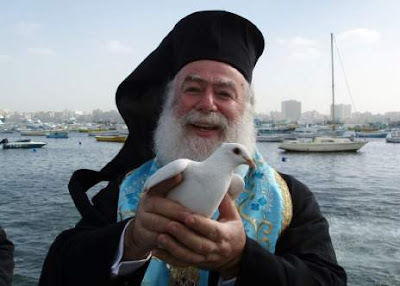 The water that is blessed in the church is known as "Theophany Water" and is taken home by the faithful, and used with prayer as a blessing. People will not only bless themselves and their homes by sprinkling with Theophany Water, but will also drink it. The Orthodox Church teaches that Theophany Water differs from regular holy water in that with Theophany Water, the very nature of the water is changed and becomes incorrupt, a miracle attested to as early as St. John Chrysostom (Homily on Christian Baptism in P.G. XLIX, 363). 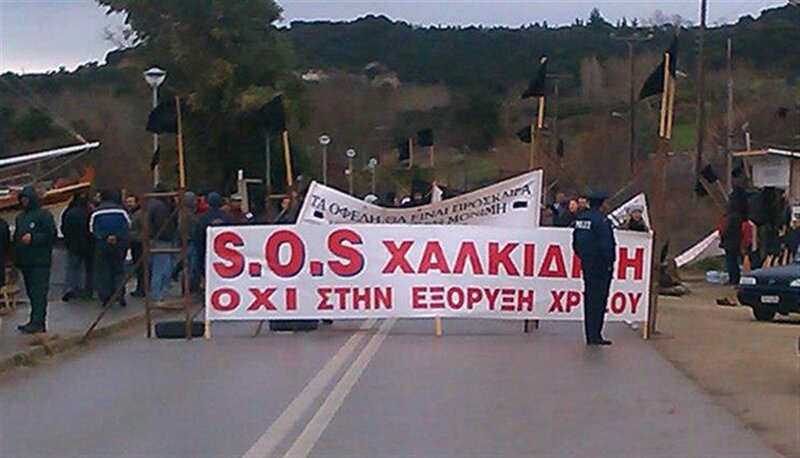 Most of these articles are in Greek, but are accompanied with pictures, videos and a brief summary. 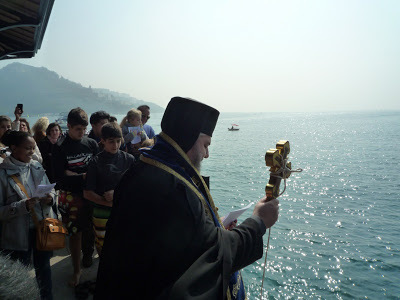 Theophany in Thessaloniki - Metropolitan Anthimos led the faithful to the seaport of Thessaloniki for ceremonies. 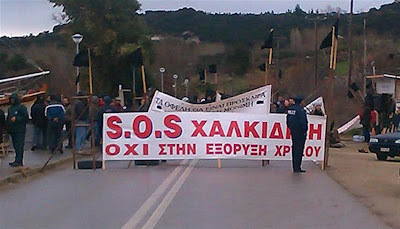 Yiorgos Ipsilantis, 28, was the first to retrieve it. Among the 20 divers was 9 year old Haralambos, who had to be pulled out of the water because he began to suffer hyperthermia. Later in the hospital he told reporters: "I wanted to catch the Cross, that I may supplicate God to make the world well." 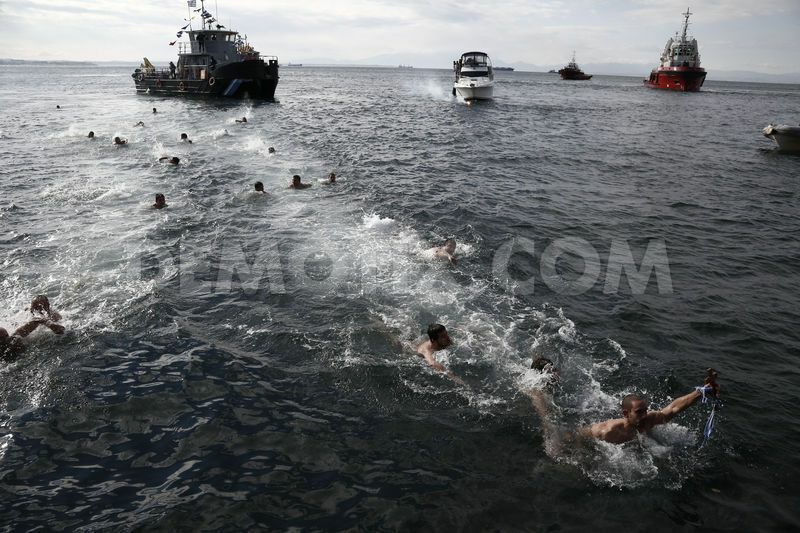 Theophany at Mount Athos - Festivities this year were quiet due to recent protests not allowing pilgrims to visit Mount Athos. Yet there were still all-night vigils taking place everywhere as well as various ceremonies for the Sanctification of Waters at the sea. Theophany in Cyprus - Churches throughout Cyprus celebrated Theophany. 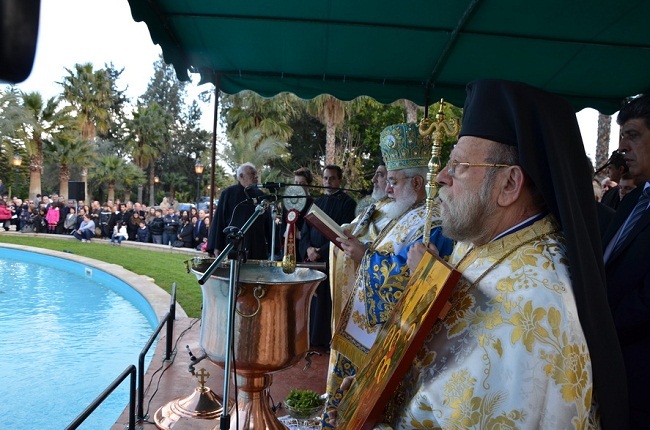 Archbishop Chrysostomos was in Kato Paphos this year, with other Metropolitans serving other areas throughout the island. 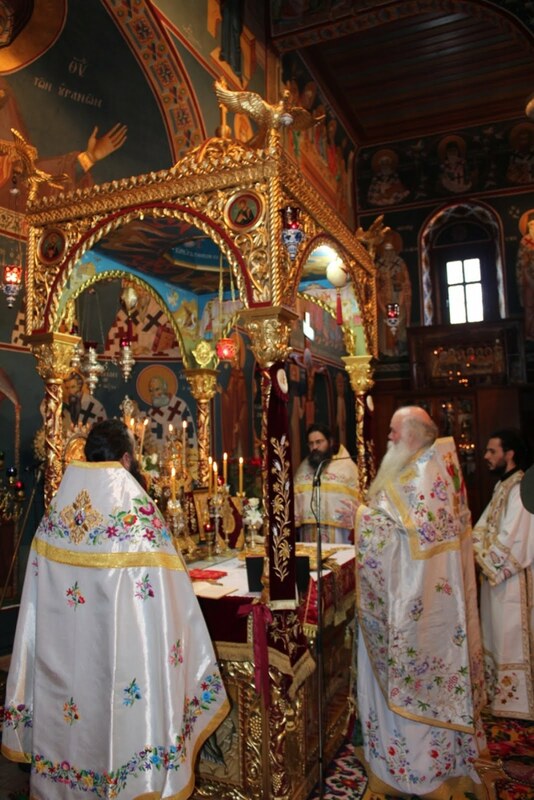 Theophany in Antioch - The new Patriarch of Antioch, John, celebrated Theophany in the largest parish of Damascus, the Church of the Holy Cross. 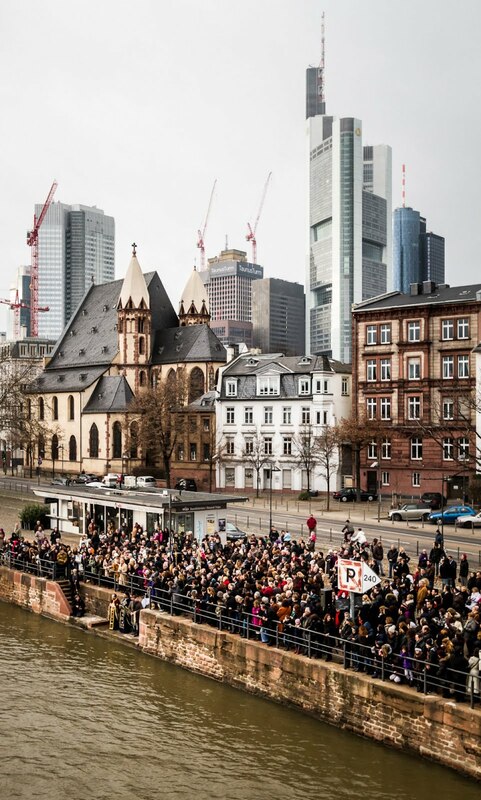 Theophany in Munich, Germany - The Sanctification of the Isar River has become an important event in the city of Munich, yet this year swimmers were not allowed to dive into the waters because heavy rainfall made the waters dangerously violent. Theophany in Frankfurt, Germany - For the sixth consecutive year the parishes of St. George and Prophet Elijah came together to plunge into the River Main. 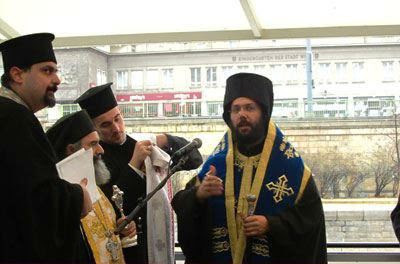 Theophany in Venice, Italy - Metropolitan Gennadios led the ceremonies along the Venetian canals. 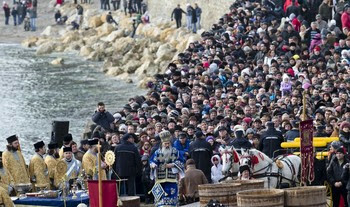 For the first time, this year a gondola was used to help retrieve the cross.